Polish Kit designed specifically for Sew Steady Portable Tables, Inserts and Sewing Machine Beds. The polish creates an ultra slick surface which is great for heavy fabrics and free motion quilting on Sew Steady Acrylic Tables and Cabinet Inserts. 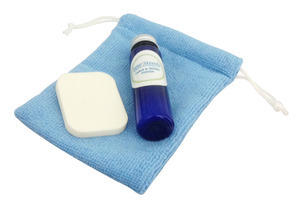 The kit includes: tub of polish paste, applicator sponge and cotton pouch/polish mitt. 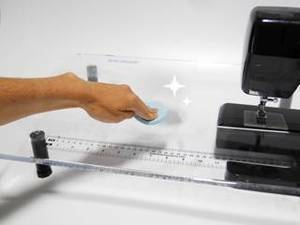 Create ultra smooth sewing surface. Fill scratches caused from use. Even Shines up most machines! Sew Steady Polish Kit. Learn about new Sew Steady Polish Kit, and other approved cleaning agents for Sew Steady products. 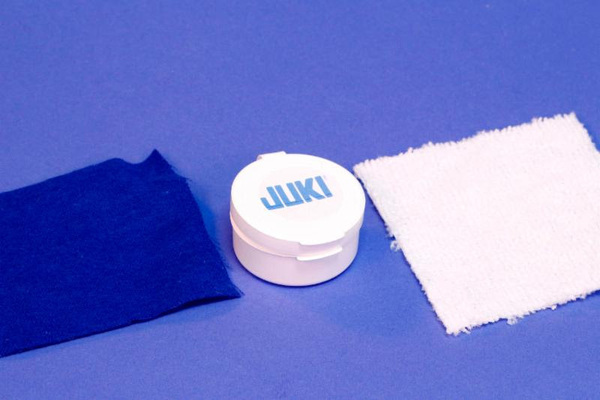 Same as Juki Table Polish Kit (Part no. TL2010PLKIT) Use table polish with cloth to create a clean and ultra smooth surface. Sew Steady SMS Folding Go Smart Phone Stand Lounger, Choose 7 Styles!